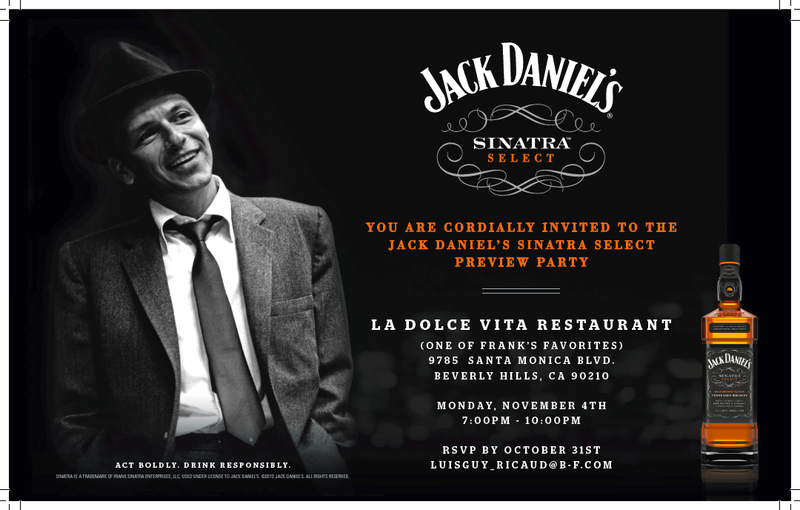 This week at La Dolce Vita Restaurant in Beverly Hills, Brown-Forman hosted a reception in order to celebrate the launch of it's new Jack Daniel's Sinatra Select. The liquor company looked throughout Los Angeles in order to find a location that best emulated Sinatra's sensibility and turns out that former Rat Pack hangout, La Dolce Vita was the place. 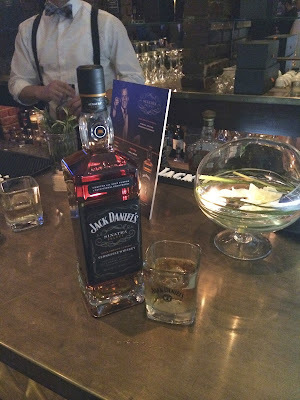 According to mixologist, Eric Tecosky, Comedian, Jackie Gleason first introduced Sinatra to Jack Daniels in the 1950s when the whiskey was relatively unknown. 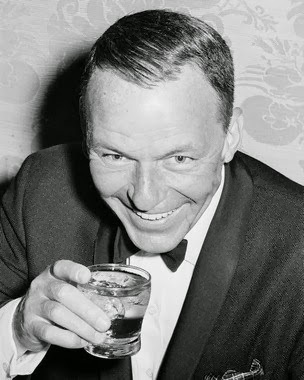 As soon as Frank declared the drink, 'Nectar of the Gods,' liquor stores were hard pressed to keep it in stock. 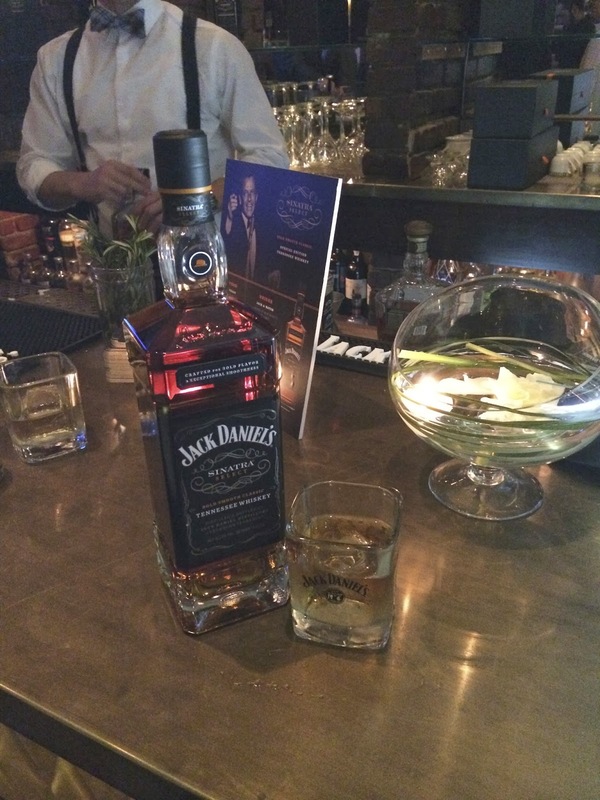 Sinatra Select is a testament to its namesake. Not totally smooth, but a comfortable enough sip that soon after packs a certain punch and leaves you wanting more. I'm told the bottles will be available for one year starting on December 12, 2013, Sinatra's 100th birthday. I can't wait to see what other tributes will be released to celebrate's the Chairman's 100th year. Wish he was around to enjoy it with us. 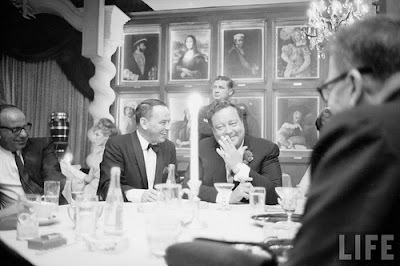 His booth at La Dolce Vita still is - I know where I'll be on December 12 to toast the man. Care to join me?